The multi-billion dollar nutritional supplement industry is rife with charlatans and mountebanks peddling fraudulent products. But a new supplement company is pushing against that stereotype by recruiting Nobel Prize winners and Massachusetts Institute of Technology scientists to endorse a pill with properties that have been shown to improve the body's ability to repair DNA, among other rejuvenating functions, according to Fast Company. Elysium Health, a leader in the burgeoning anti-aging field, is trying to market compounds found naturally in the body as dietary supplements in the hopes of increasing "healthspan," the enhancement of basic biological functions. The company's first pill contains the building blocks of nicotinamide adenine dinucleotide, a compound that naturally elevates enzymes involved in cell metabolism and energy production. 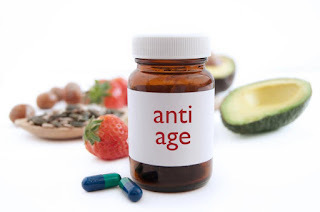 Keywords: Anti Aging; DNA repair; Longevity.